Last night I attended a farm-to-table supper hosted by the Dallas Arboretum's Vice President of Gardens Dave Forehand "to explore, learn, and exchange ideas about the Dallas food scene with local farmers, farmers markets, chefs, and restauranteurs" and to hear about their exciting plans for a new edible garden. I just saw the words "you are invited" and "dinner" and accepted the invitation. I have to admit I didn't really know what I was walking into, but it turned out to be spectacular. What I learned was that a new edible garden and events facility called A Tasteful Place will debut in the fall of 2017 on a 2-acre plot on the property’s south side boasting a spectacular view of the Downtown skyline. According to a recent D Home interview, "Visitors to A Tasteful Place will see all manner of in-season vegetables, herbs, and brambles. And like the Arboretum’s trial gardens for plants and flowers, the edible garden will have its own on-site lab for testing different plant varieties for viability." What I thought was going to be a media dinner to get us hyped up about this project, turned out to be more of a focus group with local farmer's market representatives, farmers/growers, gardeners and food policy makers in attendance, eager to throw in their two cents on what this project should stand for, and how the Arboretum could help educate the public and change state policies. The Dallas Arboretum recognizes that while it's nice to have pretty flowers to look at, what we need as a society is to get better educated about what we are eating, where it comes from and how easy it is to grow your own food - or at least buy from local farmers and purveyors. 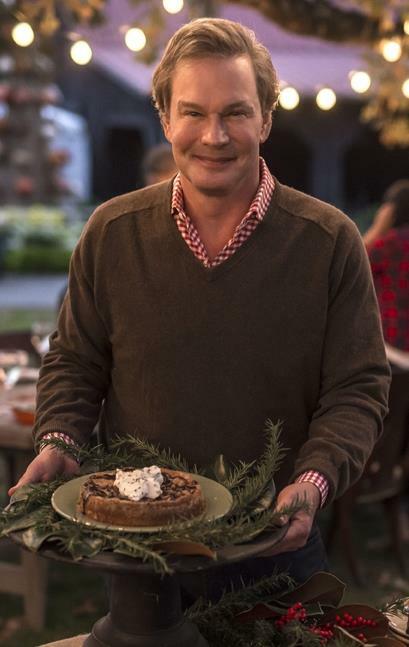 The Arboretum has partnered with P. Allen Smith, an award-winning gardening and lifestyle expert, PBS TV host, and six-time author to consult on the project. Smith was in attendance last night and I was completely smitten with his Southern charm and passion for farming. Smith will consult on educational and entertainment programming for the project, as well as the project’s site-planting plan. In a December interview with PaperCity, Smith stated, "(A Tasteful Place) will be a marvelous new addition to the Dallas Arboretum. I think that there’s a big conversation going on in this country about food. One of the reasons why we’re doing this is that I feel like it allows the Arboretum to enter into that conversation, and it reaches a demographic and a group of people who are very interested in food, how food is grown and where food comes from. By 2050, there will be 9.5 billion people on the planet, and lots of people are talking about how we are going to feed [everyone]. 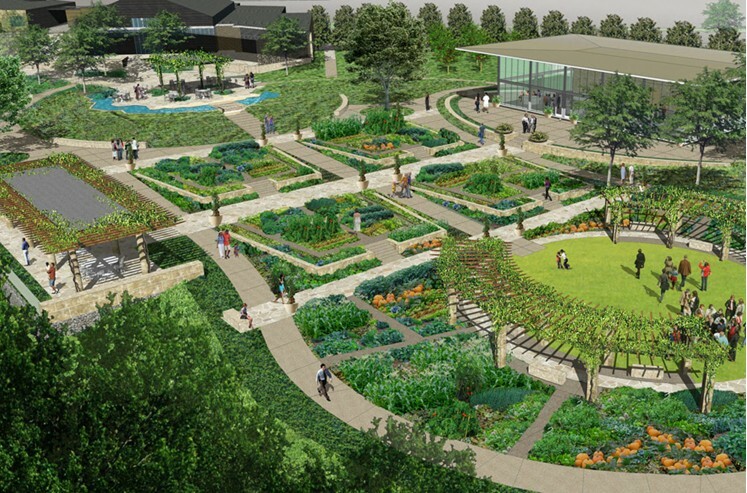 The Arboretum will be a place where we can talk about resources, how people are fed, urban gardens, hunger in Dallas … We can talk about a lot of big issues. It’s also going to be a very beautiful place and a very practical place. We will be using both modern methods and also sustainable practices to demonstrate how to use resources responsibly, so there will be ways for people to understand how to water and irrigate in a responsible way, and how to care for the soil. Your backyard is your ecology. That’s your piece of the planet that you’re taking care of. We hope that these kinds of lessons will come out of the Arboretum." Over the next three years, Smith will be a regular face on the garden grounds, reaching out to the local food community to schedule chefs’ workshops, lectures, and culinary events.